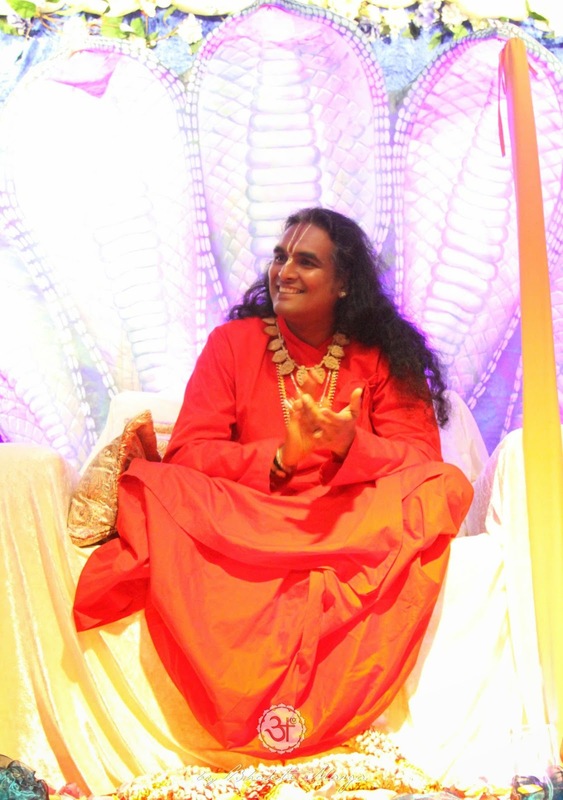 During the last Darshan of Sri Swami Vishwananda at Shree Peetha Nilaya, on the 10th January, Mayuran, a devotee from London expressed his gratitude to Swamiji for all Divine Blessings He has showered upon us throughout the years which culminated in a year of 2014 full of His Grace. Furthermore, Mayuran shared some insights about the Grace of Master and strongly recommended as a New Year resolution for 2015: to pray and yearn for, "that this Grace that is already there, will be realised!" "Jai Gurudev! We just celebrated New Year's Eve and New Year's day, but it was also the occasion of Vaikunta Ekadasi. And this is the time when the gates of heaven are open and the devotees of the Lord can go and have Darshan of Narayana resting on Adhishesh amongst the cosmic waters. It's a time when millions of devotees in India journey to the temples in Tiruchy to have the Darshan of Srirangam; and they're queuing for hours and hours in Tirupati just to have 20 seconds of a glimpse of Lord Venkateshvara. This is because, Vaikunta, out of all the places in the cosmos is the most inaccessible, the most difficult to attain. So, it is a matter of Grace, that once a year, Narayana decides to open His gates for His devotees. But we should also note that there are different levels of Grace. When the Lord decides to leave Vaikunta and descend and come down in the form of the Master to be among His devotees, His disciples, this is a completely different level of Grace. 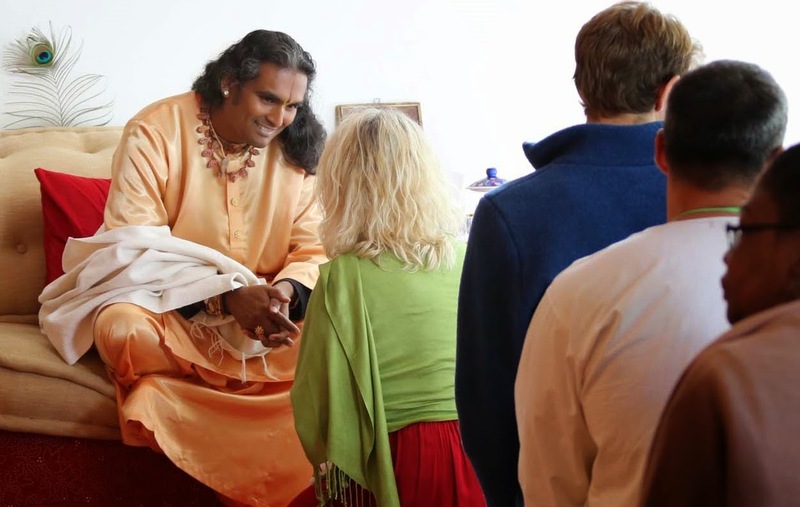 Recently, I was in a Darshan of Sri Swami Vishwananda in Poland. As it always happens at the beginning of the Darshan, everyone was swarming up to Swami's chair. But Swami said to everyone, ‘You stay where you are, I will come to you!’ And then He went out and gave the Dynamic Darshan. This is another level of Grace! When the Lord decides to come of His own Will, just to be amongst His devotees, to show them what God is, first hand; to show them what Love in action is, this is another level of Grace. At the end of Navaratri last year, Swami asked me, ‘What did you think of the Guru Gita?’ And I said, ‘Swami, I have never heard you talk so explicitly and so directly about who You are as the Master.’ And it's true! Because many years ago, it was very very rare for Swami to talk publicly and so openly about the high state of the Master, the ultimate state of the Master. And Swami later told me that He knows when to give, what teaching, to which people, and at what time. Krishna in the Bhagavad Gita tells Arjuna, ‘I am reviving this ancient knowledge to you, because you are My devotee and you are My friend.’ So Arjuna was worthy enough to receive this wisdom from Krishna and I think, it's a sign of the times, that the sangha, the Bhakti Marga community is coming to a point of maturity where Swami feels like He can give the Guru Gita; that we are worthy enough and mature enough to imbibe this wisdom. Shiva says in the Guru Gita, ‘Parvati you are My very form and My very Self.’ If Shiva is giving the Guru Gita just to a stranger then He has to be very careful about what words He uses, but if He is talking to His very form and His very Self, in Parvati, then He can give the truth without any compromise at all. And that's what the Guru Gita is: it's the truth without any compromise. And Shiva goes on, telling to Parvati that this knowledge is not available in the Vedas, it is not available in the shastras, in the shruti, it's not available in any of the major scriptures because the knowledge of the Glory of the Master is not public knowledge, it's exclusive knowledge. It's the knowledge for those who are ready to receive it. So we should be thankful that Swami has given the Guru Gita to us over the last year. And we should remember that the essence of the Guru Gita, is simply this: that the Master is Narayana. That the whole spiritual game is under the Feet of the Master, that all the deities are under the Feet of the Master, and that nothing moves without the Master's Grace. And if we look at the spiritual marketplace today, if you go to any yoga show or anything of that kind, we'll see that there are many spiritual techniques, many philosophies, many teaching that are being marketed and pushed forward. But we should ask ourselves, ‘How many of them carry the Master's Grace?’ Because spirituality without Grace is meaningless. The Guru Gita says that if we perform rituals, pilgrimages, sacrifices, without the knowledge of the Master, then it's done in ignorance.” Because if we try to push philosophies that don't carry this Grace, then it is like trying to sell cars without engines. And if we have such a thing, we can be very happy that we have a car, we can tell all our friends that we have a car, but if doesn't have an engine then it's going nowhere. If all we're interested in is spiritual hobbies, spiritual past times, then we don't need any Grace. But if we want real transformation, if we want to see God, first hand, then Grace is essential. Because to get to Vaikunta is actually impossible, it cannot be done through our own efforts, it's impossible. It's like trying to walk to the moon, it can't be done. But if we have Swami in our lives, if we have the Grace of the Master in our lives, then He brings the moon to our door, He makes the impossible, possible. And when you have this Grace, then you have everything. Everything that you've ever wanted is given to you, before you've even asked of it; you don't need to perform any rituals, you don't need to perform any specific ceremonies; there is no auspicious time, there is no inauspicious time, everything is given to you unasked, and you will never be forsaken. This is the nature of Grace, everything is carried in this Grace. 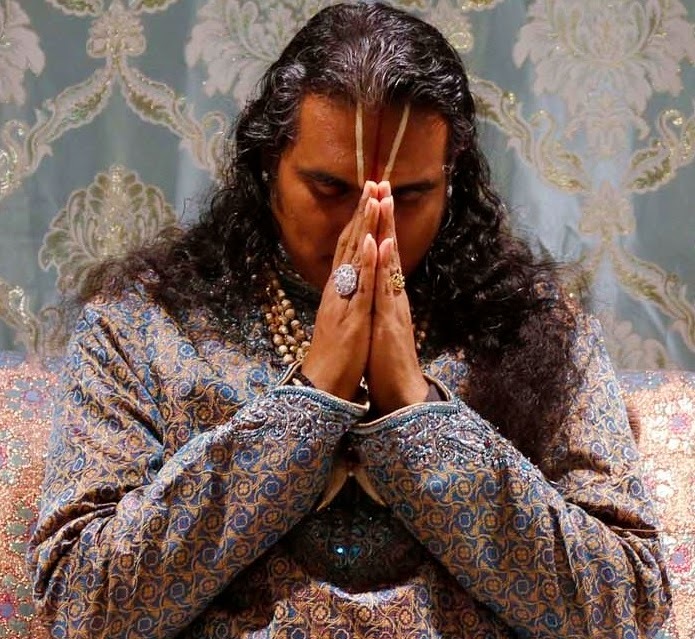 Last year Swami said perhaps one of the most profound things I've heard, He said that, ‘The Guru-disciple relationship existed before creation.’ This means that for us to attain the Master is the greatest homecoming of the universe, the greatest homecoming of existence. 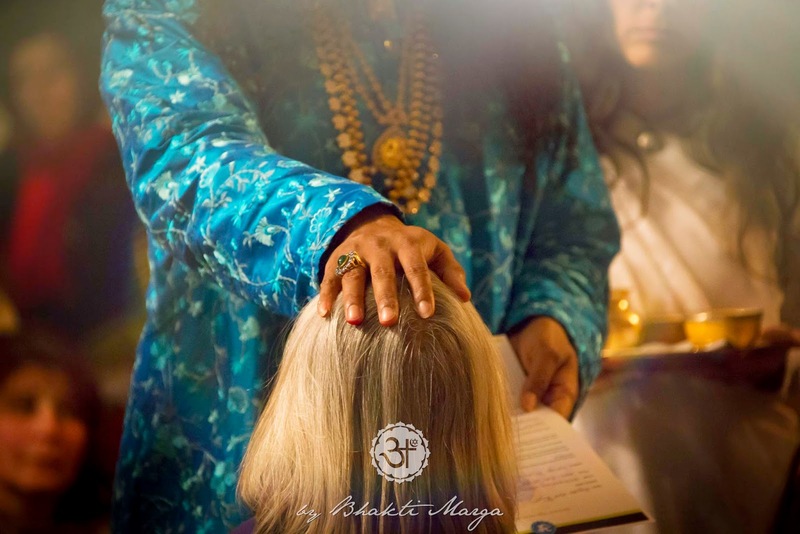 The whole universe, the whole world celebrates when we come home to the Master, because it is the most fundamental thing of life – this connection with the Master. And when you go deep into this, if you contemplate on it, you will see that, the ultimate truth is simply this: nothing else exists apart from you and the Master. And I don't mean that as a kind of esoteric theory or perhaps a philosophical idea, I mean it as a practical, physical reality. Nothing else exists apart from you and the Master and everything you perceive with your senses is simply an outpouring of that relationship with the Master. When the gopis were performing the Rasa Leela, every single one of them had a monopoly, exclusivity on Krishna's heart. It sounds like a contradiction, how could so many people have monopoly on Krishna's heart?’ But it's the truth! Between you and the Master, nothing else exists. And when you come to the realisation that your connection with the Master is more real than what your senses are actually perceiving, then this is Grace, this is real Grace. 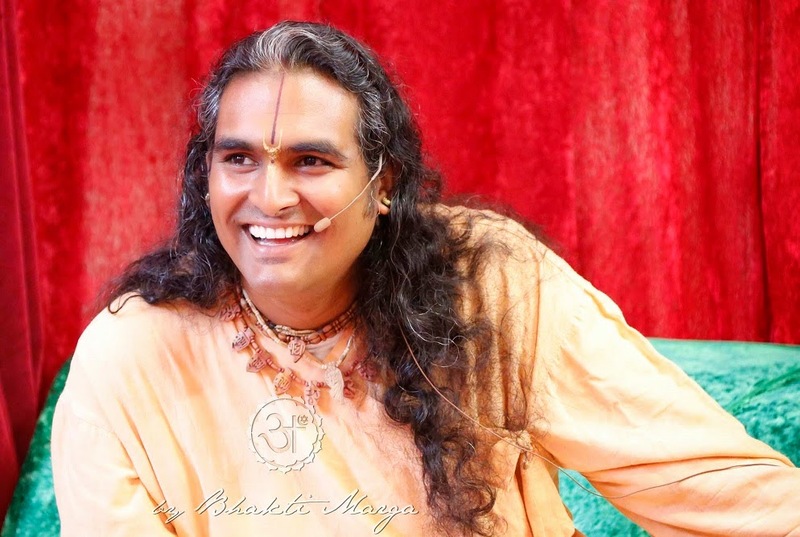 I would say that the fact that we are here, the fact that we have some insight, however small that Swami is Divine in nature is a sign that, that Grace is waiting to realised. It is a sign that the homecoming is imminent. 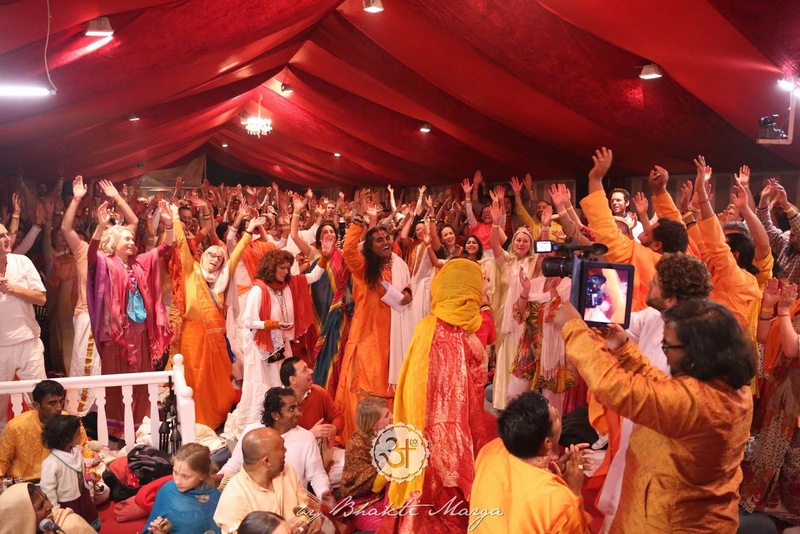 It's a sign that the Lord in His mercy has decided to take your file out of the cosmic archives and say, ‘I want this one to come home.’ That's what it means to have Swami in your life. You may not think you're a great devotee or you're great disciple; you may not think you're very close or very highly evolved. 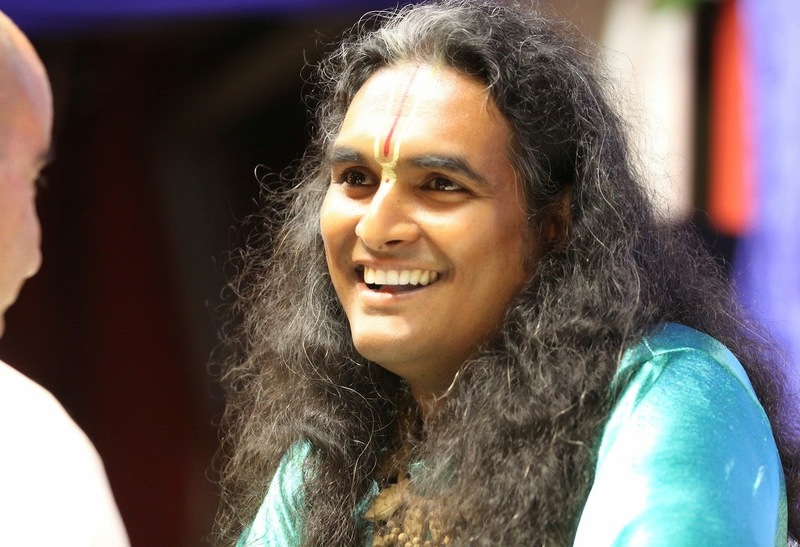 But nevertheless, the fact that you have Swami in your life is a sign that this Grace is waiting to be realised. And so if we look over the last year, Swami has given the Bhagavad Gita, the Guru Gita, He has given the Dynamic Darshan, walking amongst us. He's developing a new shastra on Twitter, and He has given us a new logo. So He has given Bhakti Marga so much over the last year. But we should never say this is enough, we never close the book on the relationship with the Master. It goes on and on and on, it never ends. Can you imagine Radharani saying to Krishna, ‘This love is enough, I've had enough, we can call it a day now. This is it!’ It doesn’t happen. So like that, we should never close the book on the Master, because often we think that God-Realisation is like a big marathon, that we have to keep running, and running, and running, and eventually we collapse over the finish line and say, ‘At last I'm God-Realised, ahh!’ And then we celebrate the fact that we can finally relax being God-Realised. But devotion is not like that, in fact it's the opposite. We should hit the peak of our experience now with the Master. And then it just gets better and better and better. It should leave from fulfilment to even more fulfilment to even more fulfilment. That's how devotion should work. 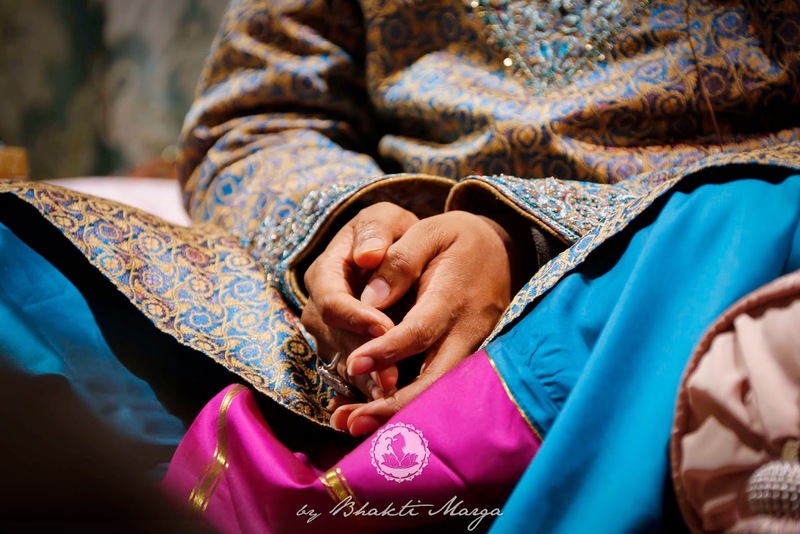 Swami always says that in bhakti, there's no end to it, there's always another corner to turn. And so, going forward to 2015, this is what we should be praying for, this is what we should be yearning for, that this Grace that is already there, will be realised. Jai Gurudev!"